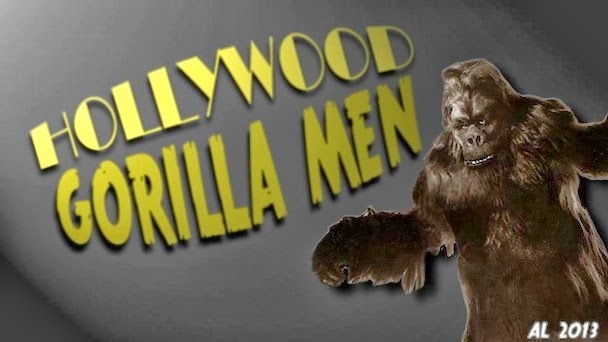 The explosion of television in the fifties and sixties lead to the migration of gorilla men from the silver screen to the cathode ray tube. 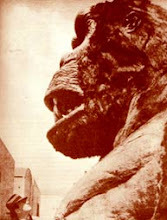 Although George Barrows racked up a number of film credits including GORILLA AT LARGE and the infamous ROBOT MONSTER, a good portion of his work was performed on TV both as an ape and as an extra in a variety of small roles . Barrows' suit had a comic softness and the man inside had a wonderful sense of timing. 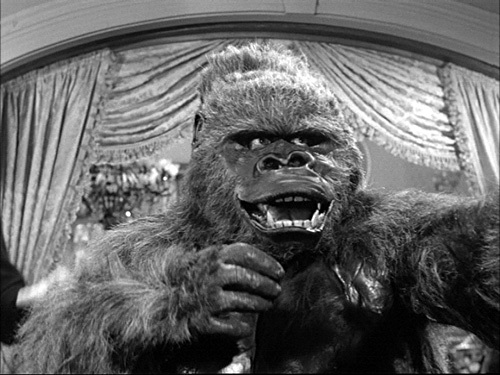 His appearance as Gorgo the Gorilla in an episode of THE ADDAMS FAMILY, 'Morticia Joins the Ladies League' was a perfect vehicle to showcase both his incredible suit and his comedic skills. 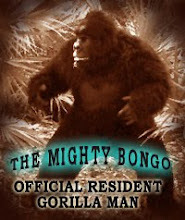 A quick synopsis - Gorgo follows Pugsley and Gomez home from the circus and quickly fits into the quirky household. 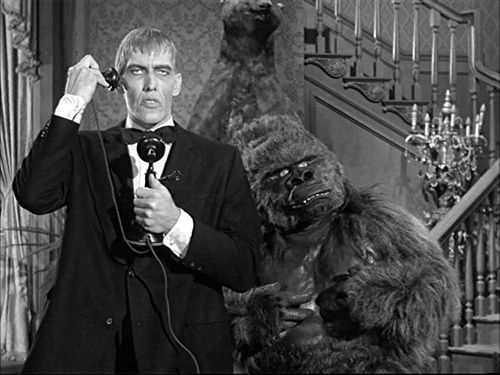 Lurch finds himself wary of the big ape as Gorgo displays a natural affinity for buttling (yes, that's what butlers do) )Unfortunately for the ape, Morticia's attempts to impress the local ladies league with afternoon tea put his abilities to the test. 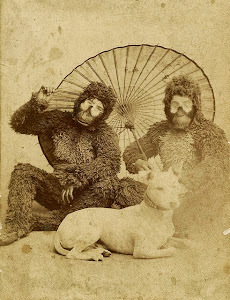 Here are a couple of screen caps from the show (more at Flickr). The first season is now available on DVD inexpensively and is well worth the few pennies - if you don't have a few pennies, catch all three parts of the show on YouTube ( the first installment is below! ).